Founder, Small Planet Institute; author. Frances Moore Lappé has authored or co-authored sixteen books, including the bestseller ‘Diet for a Small Planet’, which points out the needlessness of hunger in a world of plenty. Moore Lappé is co-founder of Food First: The Institute for Food and Development Policy and Small Planet Institute. Some of her most recent books are ‘Hope’s Edge’ (2003), written with her daughter Anna Lappé, about democratic social movements worldwide and ‘Getting a Grip: Clarity, Creativity, and Courage in a World Gone Mad’ (2007). Moore Lappé has received seventeen honorary doctorates from distinguished institutions including the University of Michigan and was a visiting scholar at the Massachusetts Institute of Technology in 2000/2001. She received the 1987 Right Livelihood Award. In 2008 Lappé was selected as the James Beard Foundation Humanitarian Award honouree for her lifelong impact on the way people all over the world think about food, nutrition, and agriculture. 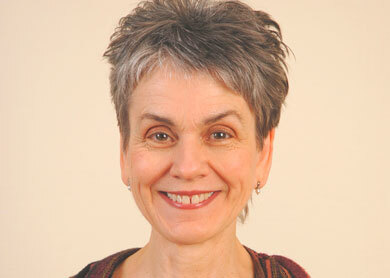 Watch Frances Moore Lappé talking about the WFC here.